Chandigarh International Airport (IATA: IXC, ICAO: VICG) is a customs airport in Chandigarh, India. It is located about 9 kilometres south of the city centre. Chandigarh International Airport (IATA: IXC, ICAO: VICG) is a customs airport in Chandigarh, India. It is located about 9 kilometres south of the city centre and operates as a civil enclave at the Chandigarh Air force Station of the Indian Air Force. It is listed as one of the major airports in North India. Work is about to be completed for an International terminal. 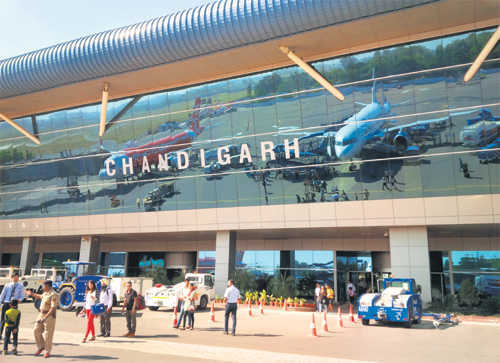 A total of 26 domestic flights connect Chandigarh to different destinations in India.